Find out what your genetics say about your ancestry. 23andMe analyses variations at specific positions in your genome. These variations, called SNPs (Single Nucleotide Polymorphisms), have the potential to tell you about your ancestry. Each Ancestry report looks at a unique aspect of your family story. The 23andMe Haplogroup reports are available in both the Ancestry Service and the Health + Ancestry Service. These reports tell you about the ancient origins of your matrilineal and patrilineal ancestors. Haplogroups are assigned by finding the genetic variants that are unique to each group. These genetic variants typically originated tens of thousands of years ago. Women and men both receive Maternal Haplogroup report based on their mitochondrial DNA; men also receive a Paternal Haplogroup report based on their Y chromosomes. Customers who purchase the Ancestry Service will have the option to add all of the existing Carrier Status*, Genetic Health Risk*, Wellness and Traits reports later for an additional fee. 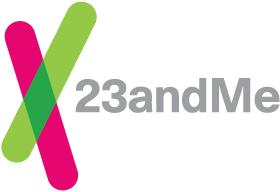 Important: The 23andMe Ancestry Service was introduced on 23 October 2017. This option is only available for customers who purchased the 23andMe Ancestry Service and shipped the order to a country eligible to receive health-related reports.